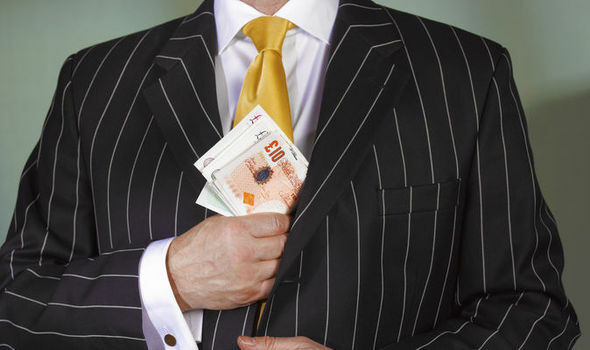 BONUSES of disgraced bankers can be clawed back up to ten years after they have been paid under changes published today by financial regulators. The ‘clawback rules’ will put an end to the gambling bankers who benefit despite having presided over events that later have devastating effects. It’s hoped that the changes will stop reckless city workers from taking huge risks without any fear of repercussion. Bonuses to senior mangers of bailed banks are to also be banned, as part of the new rules from the Financial Conduct Authority (FCA) and Prudent Regulation Authority (PRA). Deferral periods of payouts that depend upon ongoing company performance, often in the form of share bonuses, have been extended for staff whose actions could later negatively impact the firm. It comes after an outcry over cash rewards reaped by the bosses at banks in the lead-up and aftermath of government bailouts. Fred Goodwin and Johnny Cameron were among the bankers who had to be asked to give back bonuses amounting to millions of pounds, after leading the Royal Bank of Scotland before it was rescued by the British taxpayers. Martin Wheatley, chief executive of the Financial Conduct Authority, said: “Today’s rules are part of a wider package that is being announced over the summer to embed an accountable culture in the City. “Our rules will now mean that senior managers face clawback of bonuses for up to 10 years, if misconduct comes to light. The clawback rules apply to all banks and building societies, as well as some investment firms, and will take effect for bonuses related to performance from next year. All other rules that make up the new framework take effect from next month. The executive director of consumer watchdog Which, Richard Lloyd, said: “After numerous banking scandals it’s right that the bonus rules are tightened. “Senior managers found breaking the rules should be punished, even if it is years later.